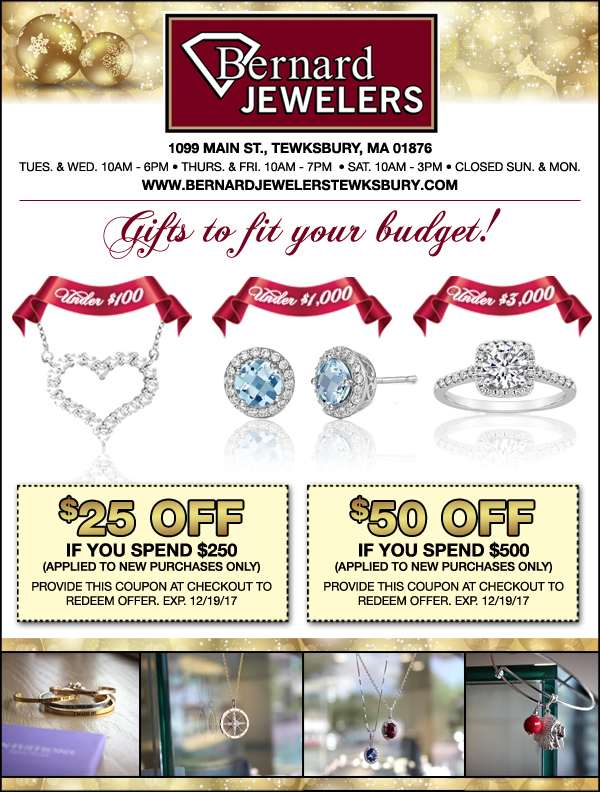 Welcome to Day 19 of our 25 Days of Christmas $1,500 Giveaway, 25 Days of Christmas Giveaway!, sponsored by Bernard Jewelers, your home for the perfect Christmas gift. Each day, through Dec. 24, we will be giving a gift from underneath our Prize Tree to one of awesome readers!. These are awesome prizes from throughout the community, such as restaurant gift certificates, salon gift certificates, a Christmas Tree, and more. Then, on Dec. 25, one of the 24 winners will win the Grand Prize - a 42" Sterling silver gold plated necklace (pictured below) from Bernard Jewelers!! In all, we will be giving away more than $1,500 in prizes! And here is the best part -- YOU STILL HAVE TIME TO ENTER!! Scroll to the bottom and see how to enter the remaining drawings. Dec. 25 - Grand Prize of a 42" Sterling silver gold plated necklace (pictured below) from Bernard Jewelers!! Entering is as easy as 1-2-3. And once you are entered, you are entered into all remaining drawings!! 1. Click Here And Like The Your Dracut Today Facebook Page. That's it, 1-2-3!! Less than three minutes and you are entered into all remaining drawings for these awesome prizes!! We will be announcing a new winner every day!